KOTA KINABALU: After 27 years of making a name as an organisation which promotes the art of creative sewing, the Association of Creative Sewing Art (PSJK), together with Epal Handicraft Training Centre, has initiated the Handmade Market programme which was launched at Suria Sabah Shopping Mall here yesterday. Specifically introduced for single mothers, housewives, retirees, low-income groups and those with special needs, the programme is aimed at providing target groups with the opportunity to generate income through creative sewing art entrepreneurship. The Handmade Market is intended as a business opportunity which is balanced between career and family. A family-friendly approach is the main priority of the programme, as apprentices only have to produce their work at home in the span of two months and a half, before selling their products at a mall over five days. To date, PSJK and Epal have succeeded in helping 1,002 apprentices to generate their own income through sewing, beginning in April this year. However, both parties aim to increase the number as it is still low compared to the demand for the products, as their quality and value differ from those made in factories. According to PSJK president Fully Chye, the difference between products found at the Market and those sold commercially is that customers know where the products came from and who made them, along with their (apprentices) background. “We are informed that the apprentices come from lower income groups who strive to make a better life for themselves, and we ensure that the quality of their products abide by standards set by the association,” said Fully. 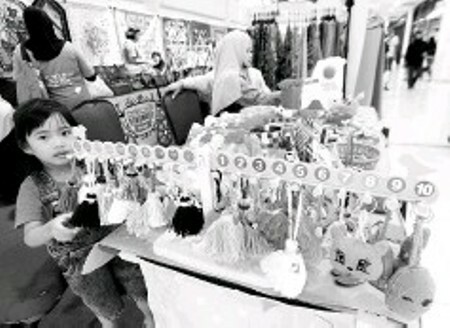 The Handmade Market features locally made products such as batik handbags, tissue covers, clogs and wall ornaments, among others. Most featured products are creative sewing art handiwork, which was made using techniques such as embroidery, quilting and patchwork. Merchandise across many categories will be on display, such as fashion, fashion decoration, accessories and home ornaments.